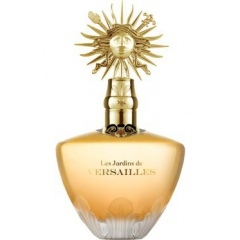 Les Jardins de Versailles is a perfume by Château de Versailles for women. The release year is unknown. The scent is chypre-creamy. It is being marketed by CFFC Fragrances. The source shows different notes in the pyramid and description text. Write the first Review for Les Jardins de Versailles!